In our country, lighting an oil lamp has been an important ritual integral to festivals and ceremonies. The tradition began thousands of years ago and continues to this day, in temples and in homes, especially in the southern part of the country. The ritual of lighting a lamp is a deeply symbolic act of dispelling darkness or ignorance and spreading light or wisdom and knowledge. 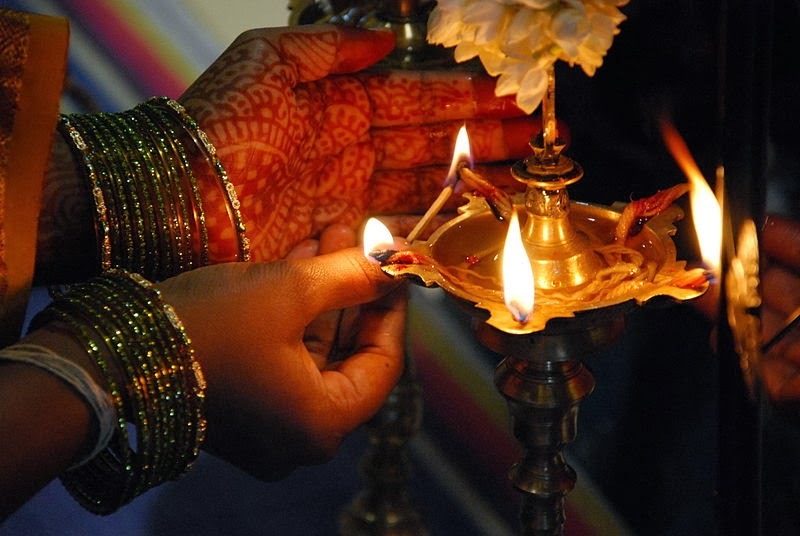 The mere act of illuminating the area by lighting a lamp is considered propitious and an important part of commencing any auspicious event such as a ceremony or festivity. There are several types of lamps made of different materials such as clay, silver and brass which have been used traditionally and have specific symbolic associations and are therefore used for varying purposes. Amongst these, a brass lamp is a very popular artifact used in most homes as part of the daily ritual, while the more ornate ones are brought out on special occasions. Lighting a lamp is not necessarily a religious gesture but can be looked upon as a part of a spiritual or meditative process and therefore it is as relevant today as it was thousands of years ago. Deepawali, which is considered to be the festival of lights is a celebration of good over evil and heralds new beginnings, and is celebrated with lights and firecrackers across the length and breadth of the country with great joy and enthusiasm. It is common to see people spring cleaning their homes and decorating with great fervor, and lighting up their homes with diyas and fairy lights. During this festival, an ornate traditional brass lamp can not only be the centerpiece of the décor but also be an essential part of the festive rituals. Elaborate brass lamps of varying heights either singly or in pairs are a wonderful way to give a traditional touch to interiors and to form a focal point around which the ceremonial aspects of the festival can also be carried out. It is also interesting that there are so many variations of a traditional brass lamp available, with intricate patterns and motifs, which can make these artifacts so stunning and extraordinary. While some may have a traditional vintage feel, there are others which reflect a more contemporary look, but either way one cannot deny that these artifacts go far beyond their functional value and have a delightful old world charm.